Red Sequoia has been managing a number of websites for Gotham Properties for a number of years. Two of those properties are Atlas New York and The Nicole. These two locations are two of New York’s highly sought after residences. Situated in Midtown Manhattan, Atlas New York is a 48-story, 400,000 square foot, mixed-use property with 374 luxury rentals. The Nicole is located in Columbus Circle. It features a 19-story luxury residential building with 149 units and features over 30,000 square feet of retail space at the ground floor. Complete redesign of Gotham’s Atlas and Nicole properties. Overall design enhancement in order to bring the site up to modern, responsive web standards, optimizing for desktop, mobile, and tablet. Migrate the original sites to folders within the main www.livinggotham.com website to provide SEO benefits. Easier user experience for contacting Gotham. 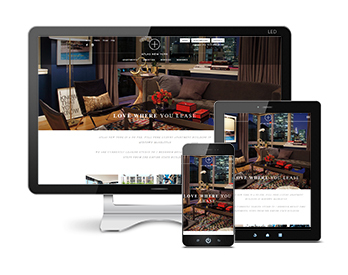 Developed two identical, beautiful websites which cater directly to the potential resident. Highlighted the benefits of living at each location, and provided an easy way for potential residents to find available residences. Simplified the contact process for inquiries on new residences. Gotham now has a two properties with identical themed sites, bringing the outdated original site within a universal property theme. The user can now contact Gotham directly about specific homes with the click of the mouse.